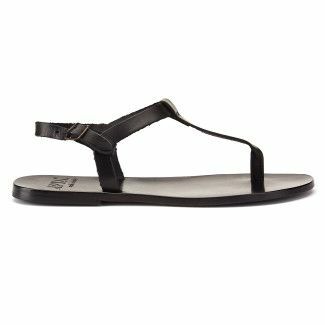 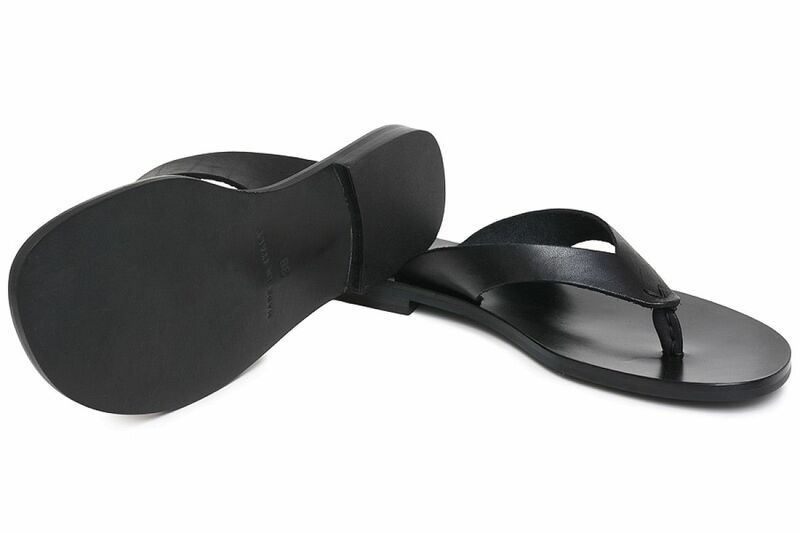 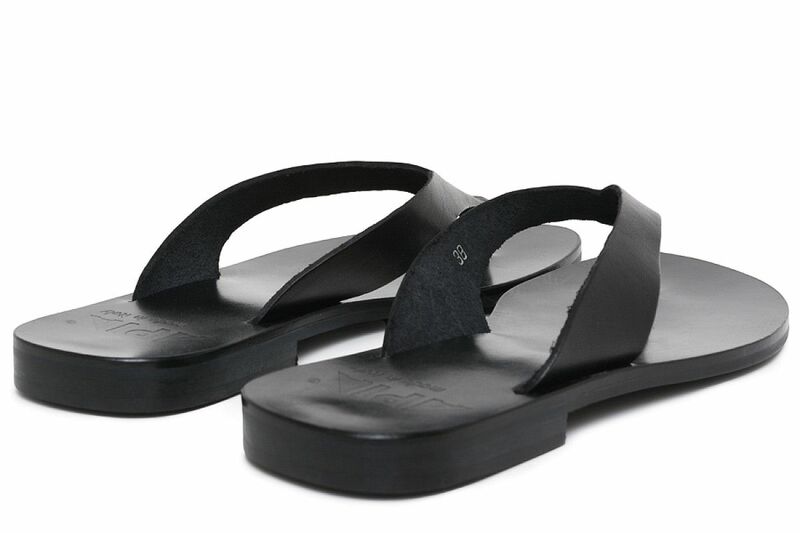 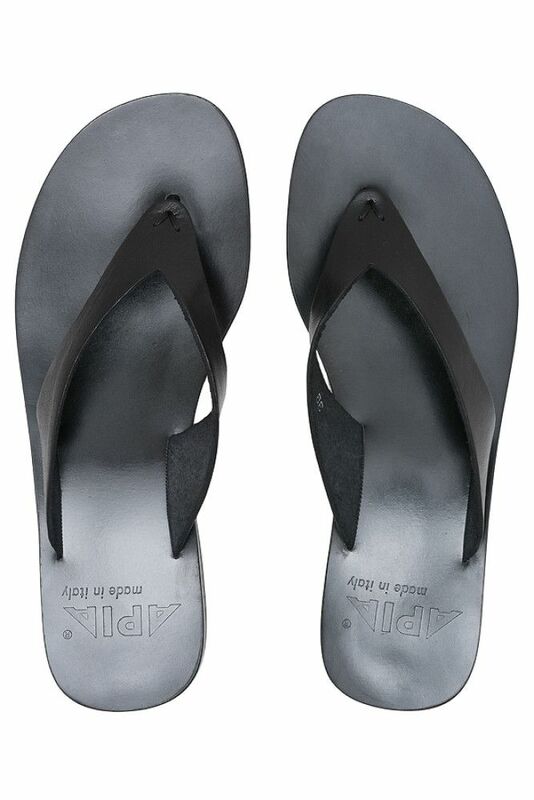 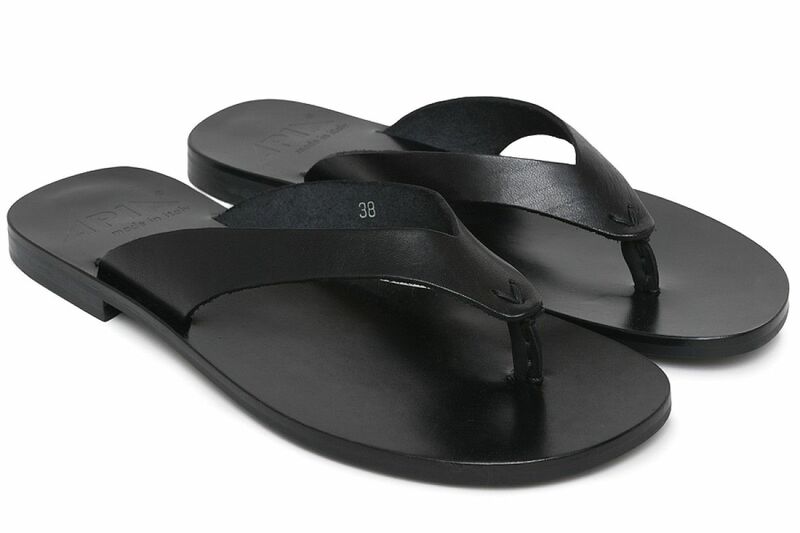 Leather, black flip-flops. 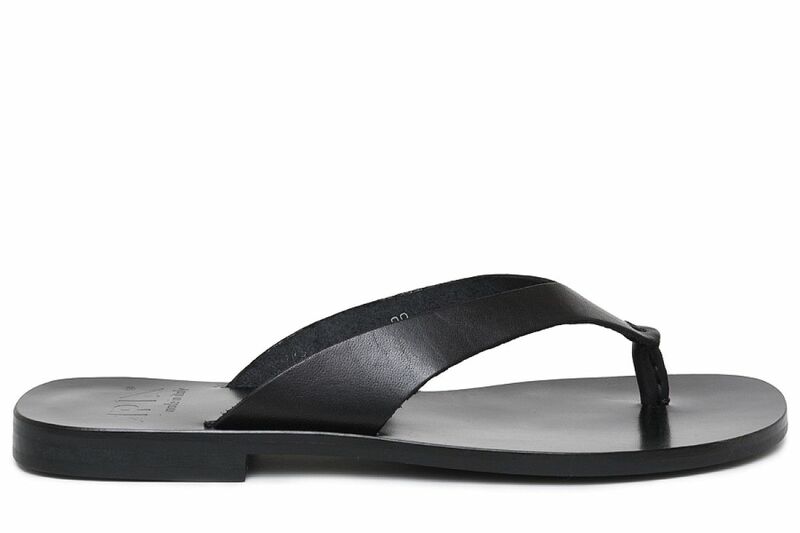 The best shoes for the hot weather in everyday style. 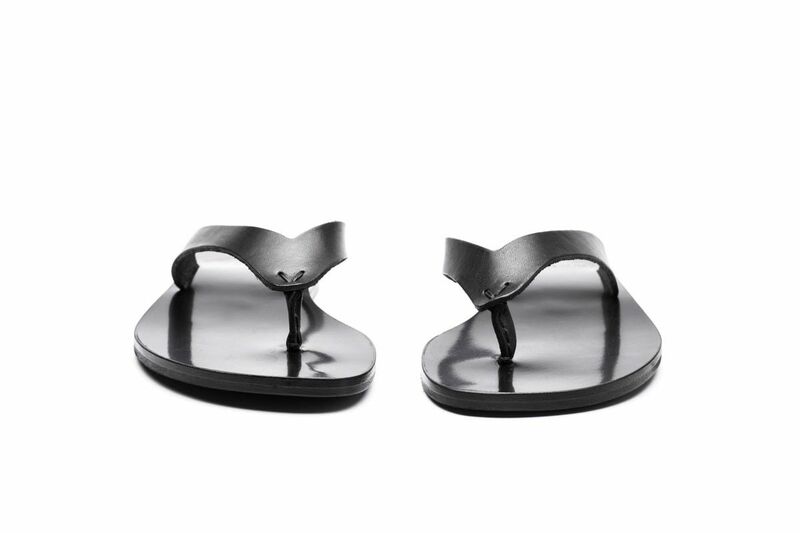 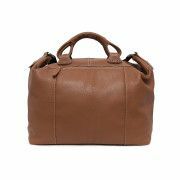 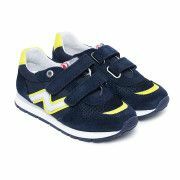 Precisely polished, minimalist form and universal, black color blend well with the casual wardrobe. 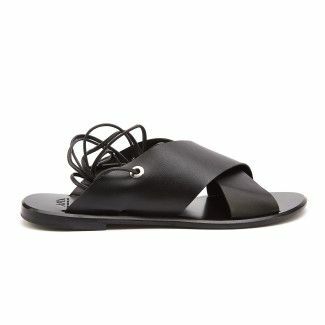 They look great for airy boho style dresses, simple, minimalist tubes, as well as holiday shorts. 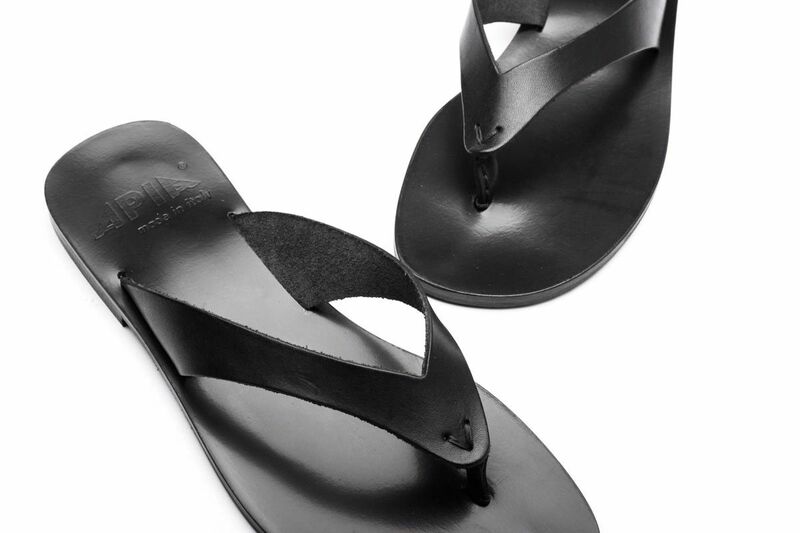 Perfectly flip-flops, very much liked by our collections. 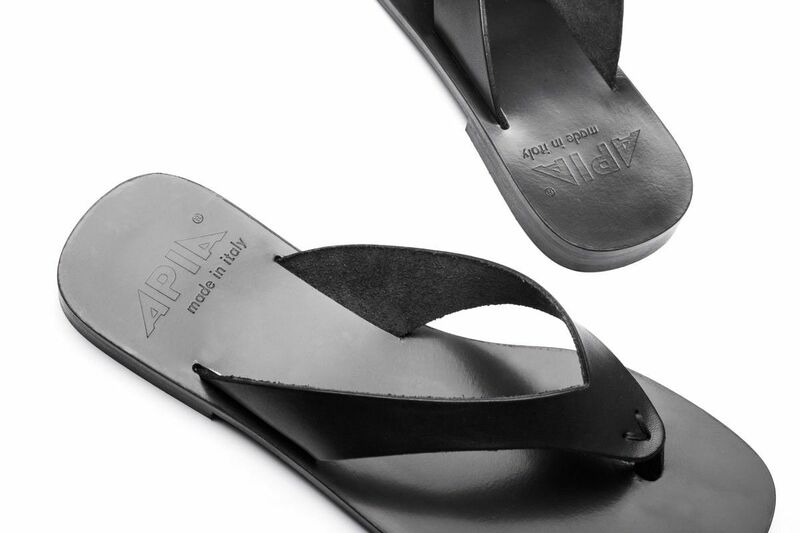 Slippers Apia Japan - must have the summer season.